“There are two kinds of stress: healthy and unhealthy. Healthy stress is vital to our success; it stimulates our desire to achieve. Unhealthy stress, on the other hand, is an energy drainer; and learning to identify and manage it is crucial to establishing balance in our lives”. Allocate time for each of your plans. 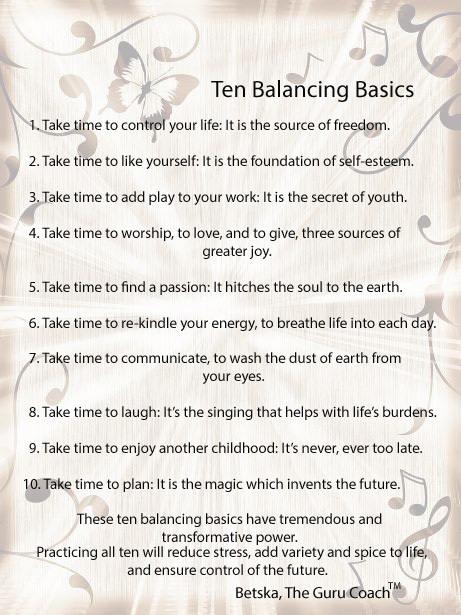 Once you’ve got your plan together and allocated time for everything, you’ll find yourself becoming better balanced. Coaching and Leadership International Inc. 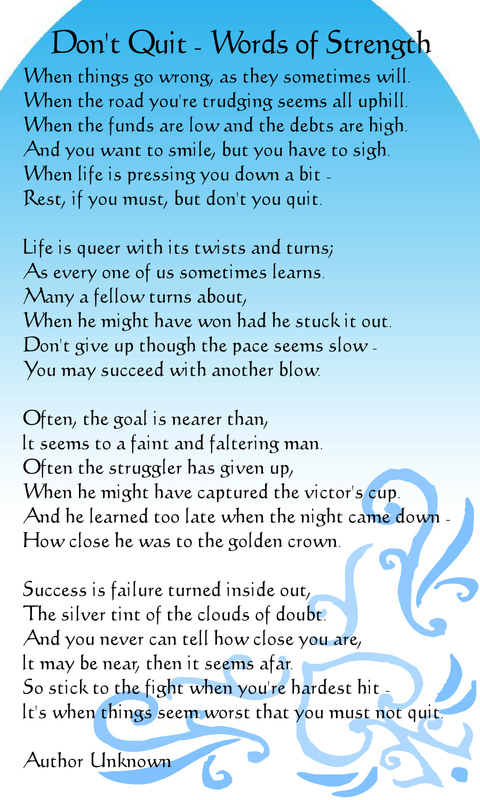 This entry was posted in blog-post and tagged Balancing Basics, Don't Quit, Happy Hour, Self-Coach on June 18, 2014 by Betska. Discovering our Inner Diamonds and allowing them to Shine! Clients Want Everything Yesterday – How to Deliver? Health and Wellness Coaching – Why an Individual May Seek a Coach? ©2005-2019 Coaching and Leadership International Inc. All rights reserved.